We deliver comfort baskets to women and men who are battling cancer. Being a member of Mrs. Claus Club means that you are personally helping to provide the means to obtain all the items that make up a comfort basket. With your financial contribution and our time we are able to bring some joy and comfort to our recipients. 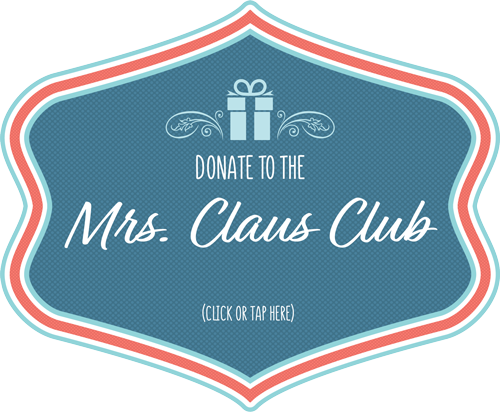 The 2018 Mrs Claus Fundraiser is the evening of Thursday, November 1st. For more information, please contact us. Your donation of a minimum of $50 or attending our annual fundraiser entitles you to request ONE basket delivery per year. You Shop, Amazon donates 0.5% of the price of your eligible Amazon Smile purchases to the charitable organization of your choice.